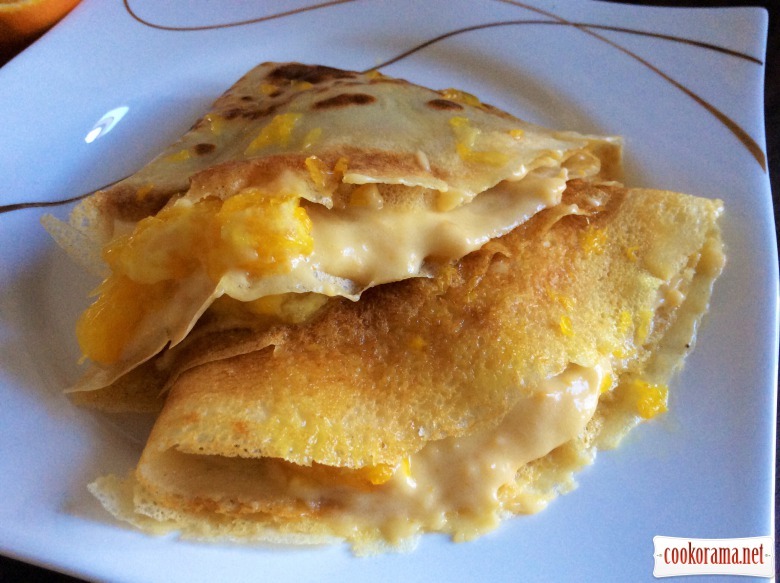 I publish another recipe to the treasury of pancakes recipes. An interesting combination of gentle cream with oranges. Propose to cook (who is not fasting), while there is still oranges. Prepare cream. Soak in cream ordinary and vanilla sugar. Mix cream with sugar, to dilute it. Add yolks and continue stirring in water bath for 5 min. 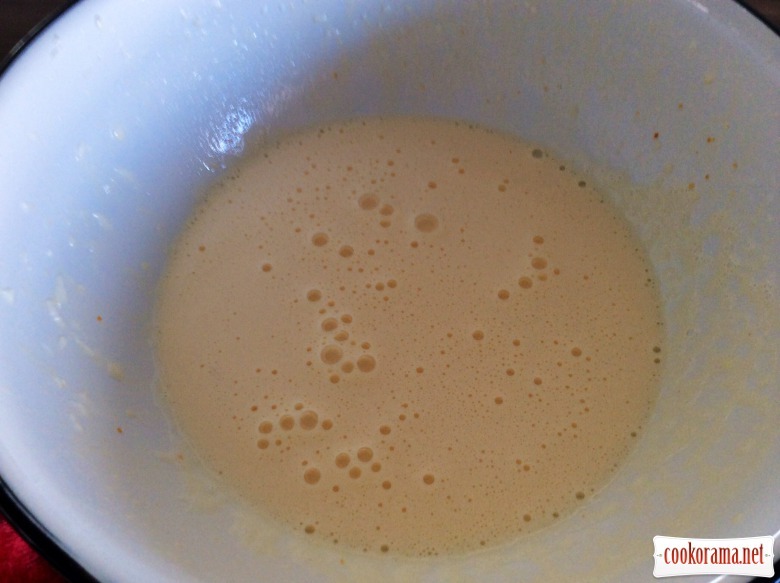 Separately in tbsp of cold milk or cream dissolvew vanilla pudding powder or potato starch, stirring, pour to cream. Add peel. Heat well for 5 min, to bubble cream. Remove from bath and cool. Wash oranges, peel and cut in quarters. 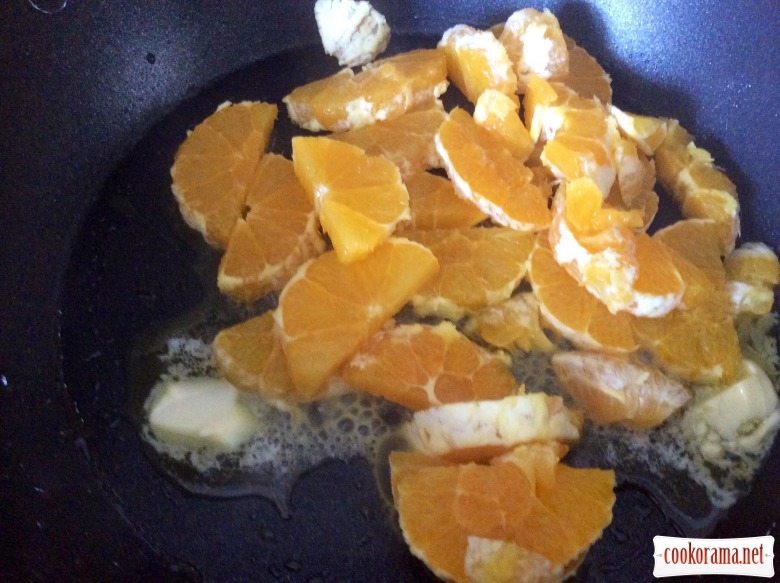 Melt piece of butter in pan and spread oranges. If oranges are sour, sprinkle with sugar. 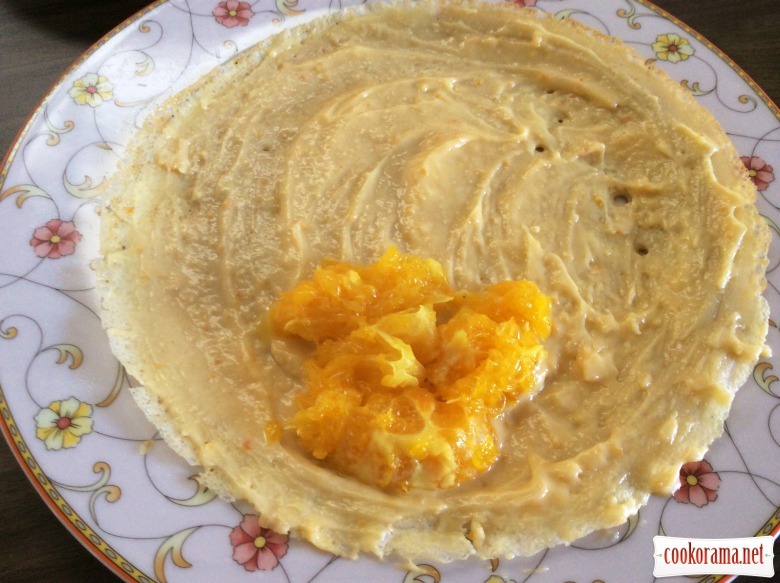 Fry quickly, for 7 min, to get juice, but do not stir often, not to make mash from oranges. 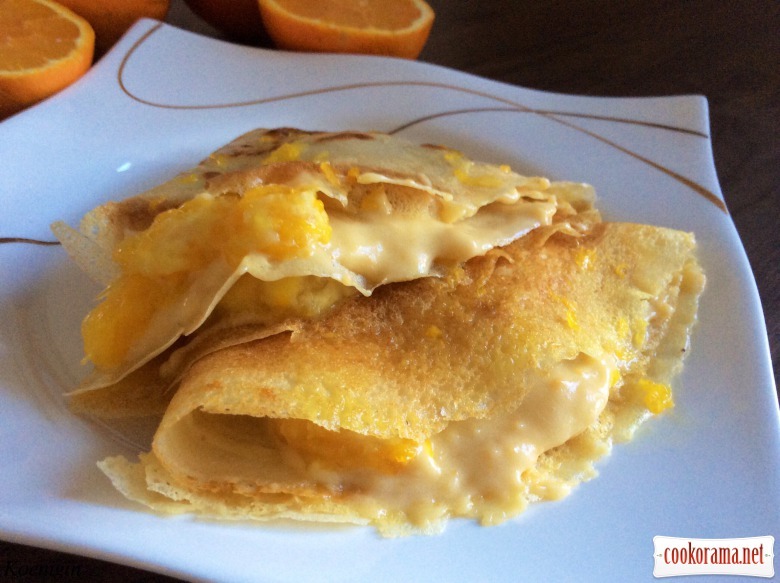 put the oranges and fold four times. Drizzle the top with orange juice, formed when frying. 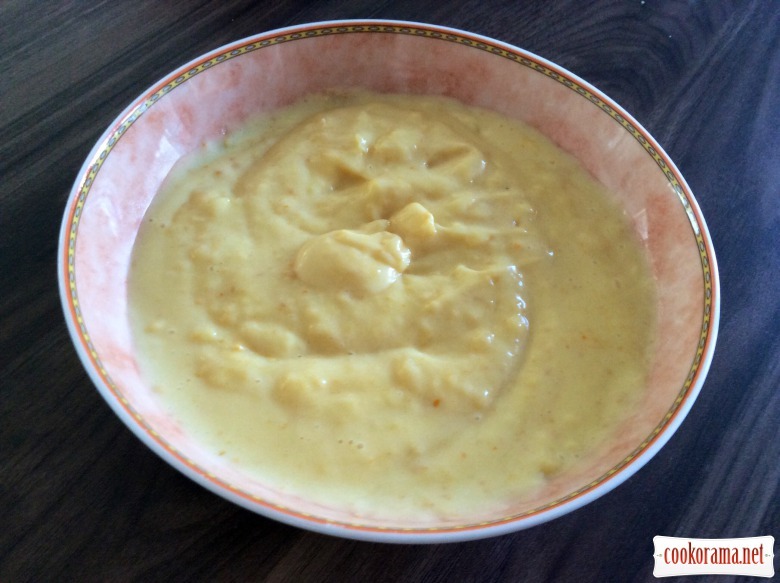 It is very tasty, combine cold cream with warm oranges! 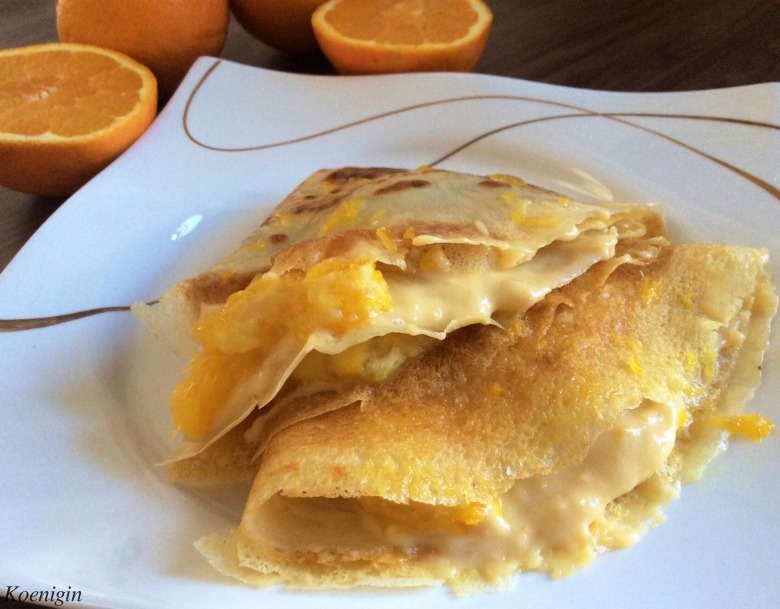 Top of recipe "Pancakes with butter cream and oranges"
млинці з апельсиновим ароматом це дуже здорово.і крем мабуть пасує) мама моєї подруги готує подібні, але без крему. Просто в тісто дає цедру, а кожен млинчик збризкує соком апельсина. Дякую , так це дуже смачно. Як я написала вище, на смак схожі навіть на тістечка. Які вони смачненькі!! Дуже люблю таку ароматну смакоту!! !